Clean Sweep, Inc. – Louisiana's Official Power Sweeping and Pavement Maintenance Company. Clean Sweep, Inc. – Your Certified Sweeping & Pavement Maintenance Provider Throughout The State of Louisiana. Louisiana's Official Certified Pavement Sweeping & Cleaning Services Provider! Clean Sweep is woman-owned business that is fully insured & provides trained personnel for all the jobs we do.We also feature late model, well-maintained equipment for each & every project. You’ll find this is a combination that can’t be surpassed when you want quality pavement-related services at a competitive price. We look forward to exceeding your expectations in all aspects of our work performance for you or your organization. If you think we might be able to help you or your organization, please let us know. Be sure to request a current reference list for parking area sweeping or any of the services we provide,we are proud of the service we provide and you will be too. Free Quote: Please feel free to request a no obligation professional assessment from our management team. We’ll be glad to help you in any way we can. 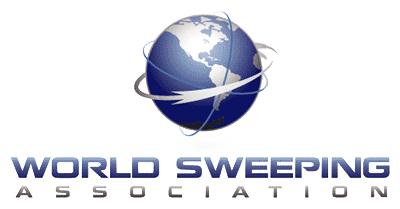 Clean Sweep, Inc. is proud to be Louisiana’s first and only North American Power Sweeping Association “Certified Sweeping Contractor”! Our national certification is your assurance that Clean Sweep, Inc. adheres to the highest standards in the power sweeping industry. When you utilize Clean Sweep to handle your pavement sweeping, you’ll get superior results each and every time. When it comes to sweeping highways, construction sites and other types of heavy duty areas, you can count on Clean Sweep, Inc. Whether you have the toughest milling job or a regular municipal sweeping route, we can handle it. Our employees are highly trained and able to contact our office at any time. Clean Sweep, Inc. can handle most all your exterior maintenance needs! Clean Sweep, Inc. has been performing asphalt maintenance for over 15 years, and is recognized as one of the area leaders in that regard. By choosing Clean Sweep to perform your exterior maintenance services, you can be assured of having top quality results. Need a servicee that isn’t listed on our site? Just let us know! Chances are, if the services you require are facility related and include exterior maintenance, pavement, asphalt, debris even remote property management assistance for set outs and property showings. Clean Sweep, Inc. is your first call for all your commercial property exterior maintenance needs. The Clean Sweep fleet includes a variety of late model, municipal-class air and broom sweepers, so you can be assured we’ll put the right machine – with the right operator – on your job each and every time. SAVE YOUR EMAIL ADDRESS HERE TO BE ELIGIBLE FOR A FREE ASSESSMENT TODAY OR ANYTIME IN THE FUTURE.